We love a good sale. Something that we have been eyeing for a while; we have done our research and compared prices; when it is on sale, available at 15% discount. Well – that is a beautiful moment! And, there's no better time for grabbing a deal than Black Friday. 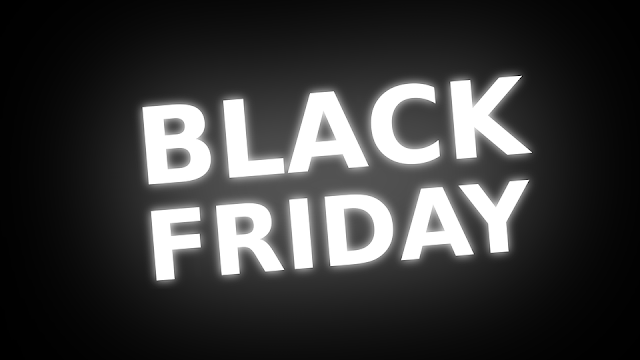 We have some great tips for you to make this Black Friday the best ever! The old adage "why buy something on sale, when you wouldn't buy it full price" is very true. Do you really need that (insert name of shiny thing on sale) or are you just tempted by the offer? If the answer is yes to the later, then that's a good way of getting buyer's remorse. Yes, you should definitely keep an eye out for great deals. But, if it's something you don't need or haven't ever considered owing in the past one year, chances are you're going to regret the purchase. So, make a list of things you need, include your holiday gift shopping list to avoid impulse buys. You can also add gifts that you'll need for birthdays, teacher's gifts, bridal shower gifts and other occasions. All retailers, even the ones that don't offer their products online, have a social media presence. Check their pages to see what they're offering or if there are any special offers available online. While you're at it, check their app too. Some retailers may offer app-specific offers. There are many sites and apps that will do all the hard work for you. These sites and apps scan all the offers and deals around you so all you have to do is go through a list to find the deals that are best for you and fit your budget. This way your shopping is a lot more focused. You only go to stores that have something for you and not waste time anywhere else. If you find two offers going on at the same time, team up with family and friends so you can get both the deals! Rule No. 5: Gear Up for Some Shopping! Wearing heels, not taking your shopping list with you are just some of the rookie mistakes that can happen on Black Friday. Don't let it happen to you! Wear comfy clothes and shoes, take your shopping list with you – a paper one and one on your phone and don't use the shopping cart. They are hard to maneuver around crowded stores so just use shopping bags instead. Have a great Black Friday 2016 with these ideas.